﻿My goal is to provide a place for students to connect with others in their writing. 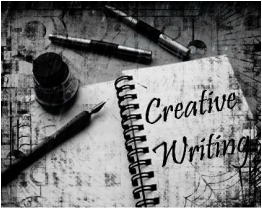 ​This course concentrates on the craft of writing. Students analyze and create different genres including short story, memoir, poetry, journalism, blogging, etc. Students experience a broad scope of writing types and analyze an author’s use of sentence structure, imagery, word choice, and tone. They in turn create their own writing. This course is devoted to preparing students to deal with the rigorous demands of college coursework. Familiarization with classical literature and its synthesis into the students’ conception of world events are accomplished through text and novel reading. Students demonstrate that they can conduct individual research and combine concepts of several experts to write a persuasive research paper and present it to a professional audience in multi-media format. 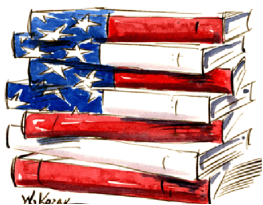 English 11 is an introduction to and an exploration of American authors and themes. Students read texts relevant to the American experience from 1600 to present. Students write in multiple modes, and complete a research project to learn proper MLA documentation. Students give oral presentations periodically using multi-media presentation materials.